With the holidays coming up, I’m always on the hunt for recipes that are delicious, healthy and unique. I’m known to typically bring sweet desserts to all the family gatherings and events. But this year, I plan on bringing these Instant Pot Glazed Carrots because they are still sweet, but good for us all, too. I’ve made these so many times, and I still love them. Sharing them with my family and friends is great because I love watching their expression after they take their first bite. 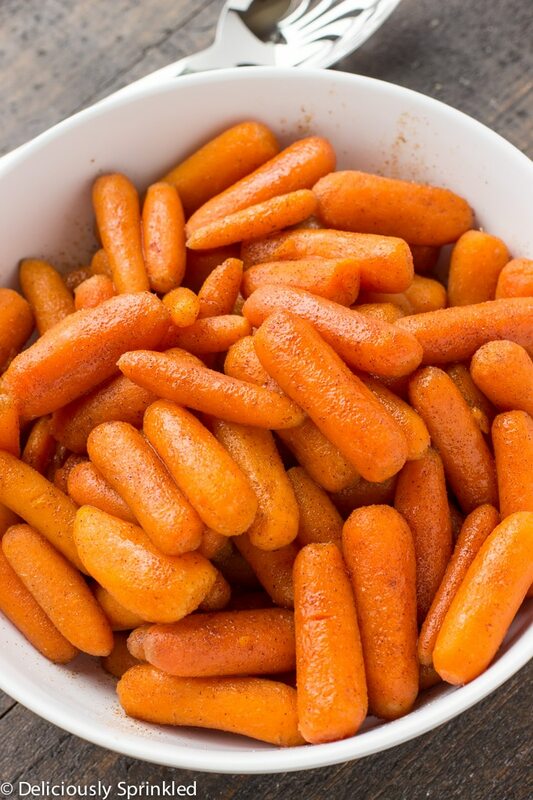 We all know what a carrot tastes like on its own…but your taste buds are truly surprised by just how sweet and delicious these cooked carrots are! If you are wanting to change it up a bit for your family holiday meal, consider giving these Instant Pot Glazed Carrots a try. They are quick, easy, and one of the most delicious ways to get yourself and your family to make certain to eat their vegetables! 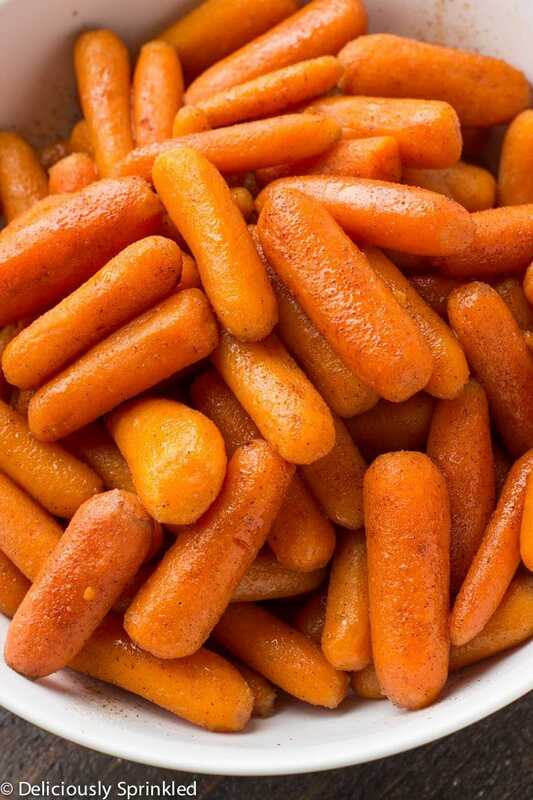 ● BABY CARROTS: 2 pounds bag of baby carrots. ● BUTTER: 1/3 cup unsalted butter. ● SALT: just a 1/2 teaspoon of salt. ● BROWN SUGAR: 1/3 cup of brown sugar. ● GROUND CINNAMON: 1/2 teaspoon ground cinnamon. ● WATER: and 1/2 cup of water. STEP 1: Place carrots into the Instant Pot. STEP 2: Add butter, salt, brown sugar, cinnamon and water. STEP 3: Cover the pot and make sure the vent on the top of the cover is set to “Sealing”. STEP 4: Press the “Pressure Cook” or “Manual” button. Set timer for 4 minutes. STEP 5: Once the carrots are done cooking, switch the vent to “Venting”. STEP 6: Stir carrots and serve. INSTANT POT: If you don’t have an Instant Pot you need to get one TODAY or at least make sure you it to your Christmas Wishlist! 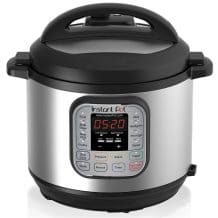 Here is the Instant Pot I have and love it! 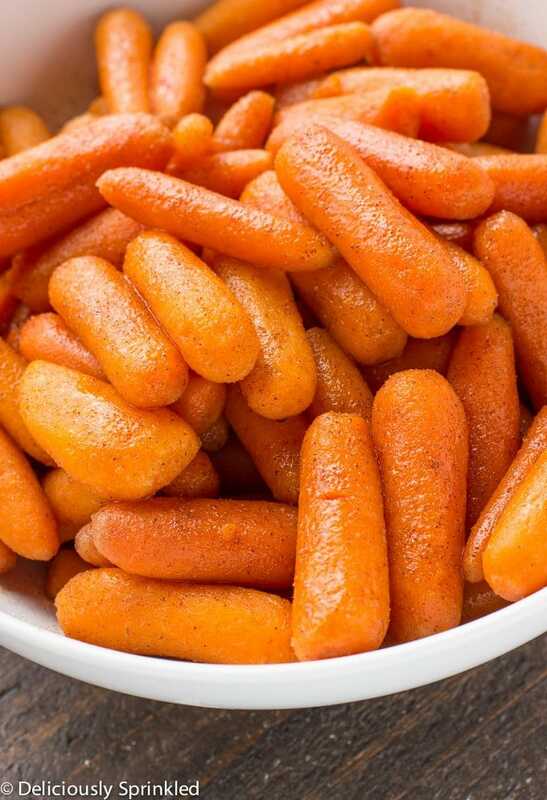 BABY CARROTS: I like to make things as easy as possible, so I just bought two bags of baby carrots at the grocery store but you can buy any type of carrots you would like. 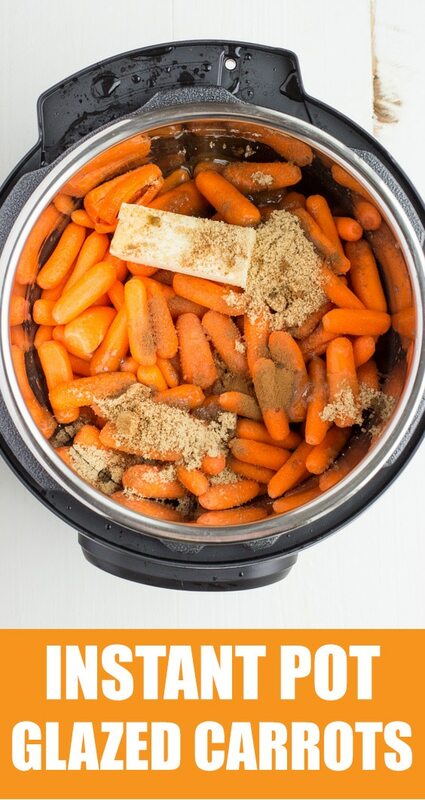 THROW IT ALL IN THE POT: So simple, just place the baby carrots, butter, salt, brown sugar, ground cinnamon and water into the Instant Pot. Cover and press “Manual” or “Pressure Cooker” button. Set timer for 4 minutes. 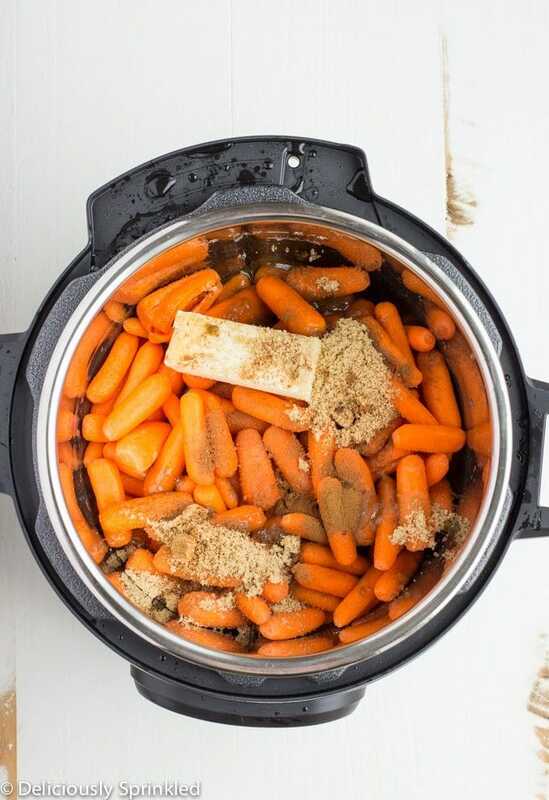 Place carrots into the Instant Pot. Add butter, salt, brown sugar, cinnamon and water. Cover the pot and make sure the vent on the top of the cover is set to "Sealing". Press the "Pressure Cook" or "Manual" button. Set timer for 4 minutes. Once the carrots are done cooking, switch the vent to "Venting". 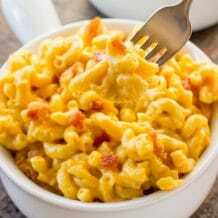 I have a similar recipe (stovetop) that uses orange juice instead of water plus a little ginger do you think orange juice would work with this recipe? If I use sliced carrots and fill to line, would cooking time change? And double the other ingredients, then? When carrots are done is there a lot of fluid remaining? Yes,there will be remaining liquid. Just carefully pour out the remaining water. Phenomenal! I love carrots, but since I was eating alone I thought halving the recipe would allow for a couple of meals. Probably would’ve, but these carrots are to die for. Delicious! I ate the entire batch! 1/2 of the full recipe. Likely the best you’ll ever have. Super easy too! It sounds so delicious~ I like carrot so much, I bet this glazed carrots will be better than eating it raw like I always did. Thank you for sharing the recipe. Thanks so much for the tips! I can’t wait to give this a try! Such a great idea to make this side dish in the instant pot to free up the stove top. So quick and easy! We love baby carrots! This IP method is so easy! 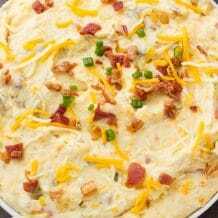 This looks like it would make a perfect side dish at thanksgiving! I LOVE glazed carrots! Never made them in the instant pot so I’ll have to try this out! Why, do I always forget about how good cooked carrots are! These look so simple and delicious! Best delicious side dish ever! 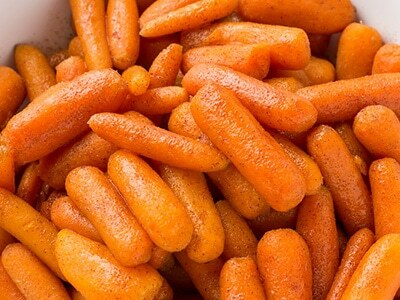 We love carrots here and these are the best! Well, that sure looks easy! And, I so love sweet carrots. This would be perfect for any potluck. Thanks for the recipe! Love the instant pot recipes. Keep them coming! Love that this carrots recipe is made in the Instant Pot! I bet it locks in all of that juicy brown sugar flavor. We love glazed carrots! 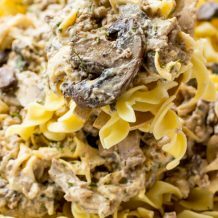 Love the idea of making them in the instant pot! These are amazing. I only had 1lb of potatoes and didn’t want to cut the liquid down so I ended up with a bit less of glaze and more just juicey goodness at the bottom of the pot, but I didn’t know of 1/4 cup would work. Anyway, holy cow they are so tender, and the flavor is great, just like my mom would make on the stovetop. I always add a sprinkle of ground ginger like she did. Can’t wait to make these over and over!